Ready for action? 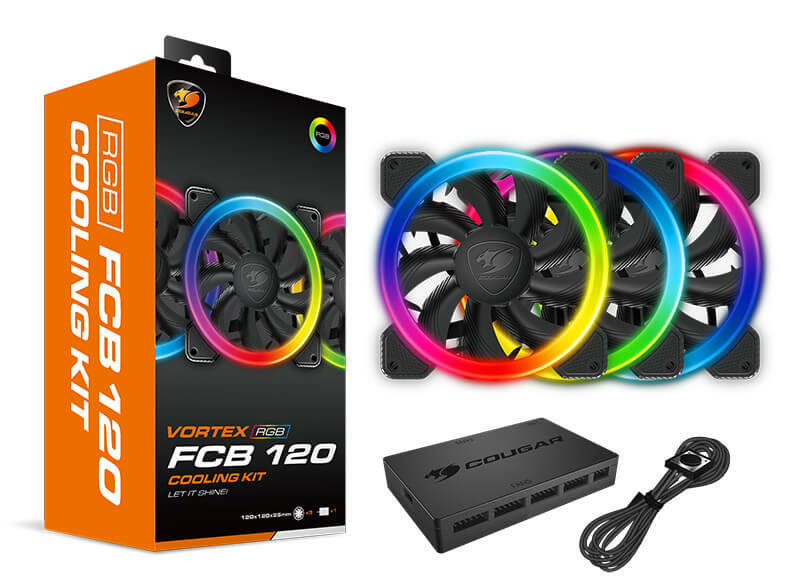 With the Vortex RGB FCB 120 Cooling Kit you get all you need to transform your PC into a living art piece. 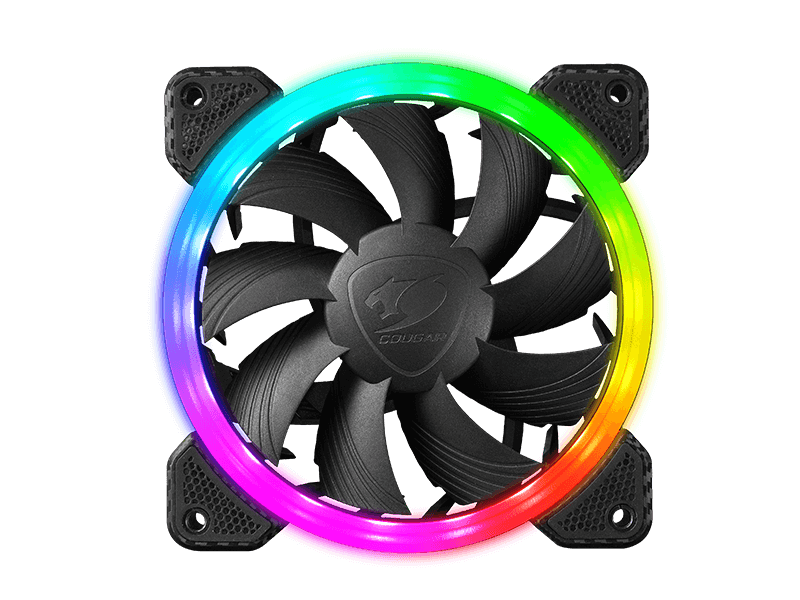 Three fans and a powerful control box to enhance your computer’s looks and bring it to the era of RGB! In, Front, Out. 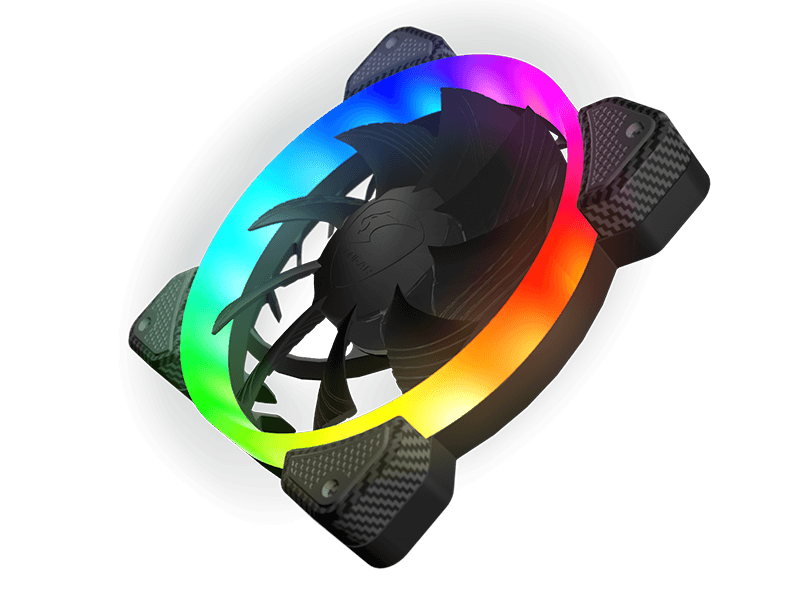 The VORTEX RGB FCB 120 fans’ 18 LEDs produce a visual spectacle in three directions. 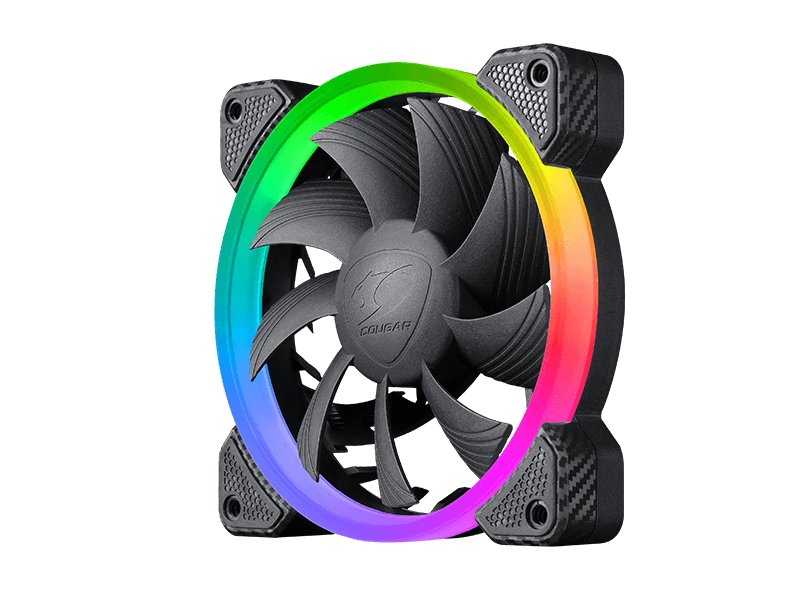 While most other backlit fans project their light only inward and forward, VORTEX RGB FCB 120 gives you a 180º viewing angle, covering all the area visible from outside your PC case. 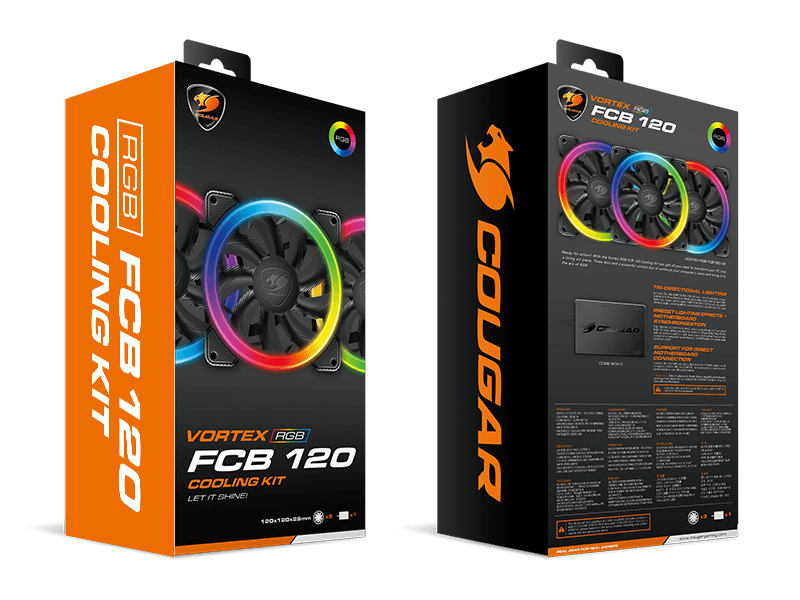 The included COUGAR Core Box C, which supports up to 8 fans and 4 RGB LED strips, allows you directly control its 14 preset lighting effects with an included switch or with your case’s reset button. You can also connect it to compatible motherboards‘ 3-pin 5V RGB header for system-wide synchronization! 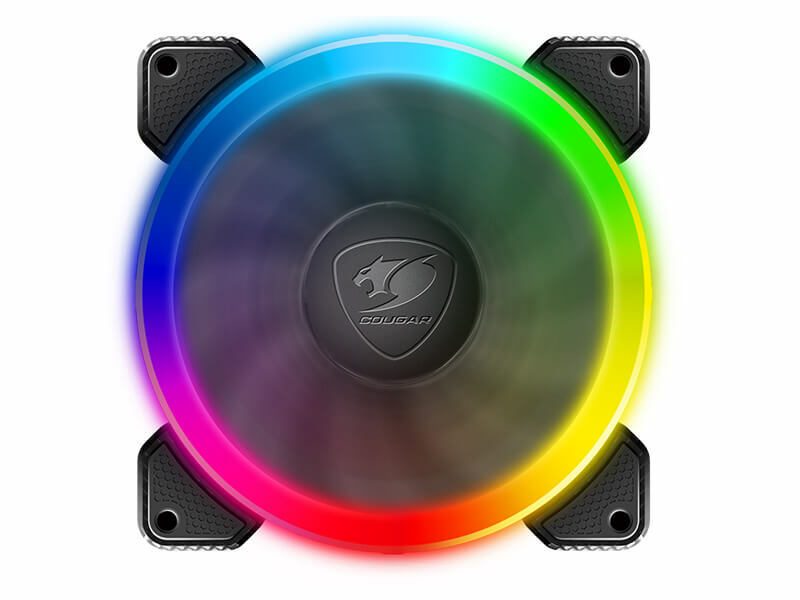 The 3 included VORTEX RGB FCB 120 fans can by themselves create a truly magical atmosphere, but some users want even more. Fear not! 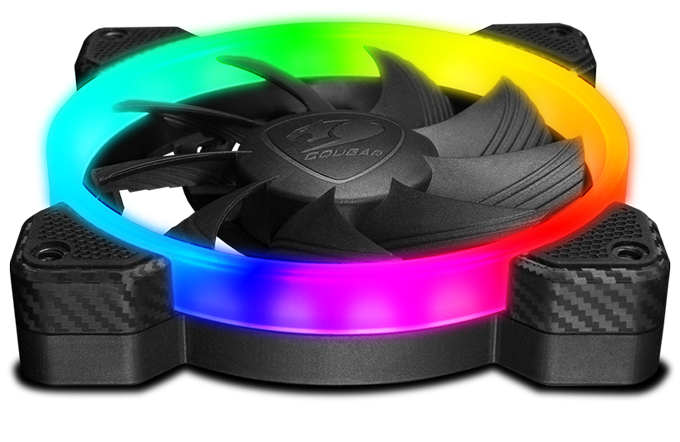 The COUGAR Core Box C supports up to 8 RGB fans, and 4 RGB LED strips, enough to make your PC overflow with light. 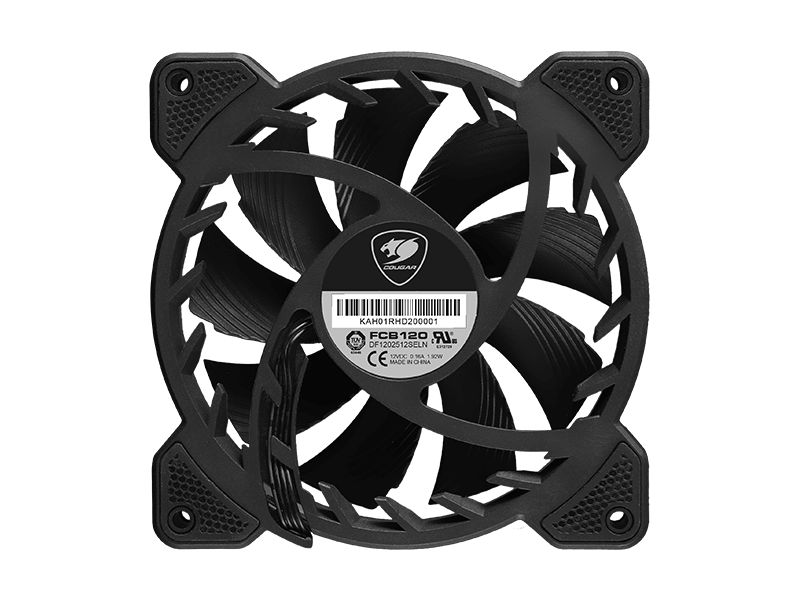 Our patented Vortex frame design shapes the airflow into a vortex that works wonders when it comes to keeping your computer’s critical components cool.